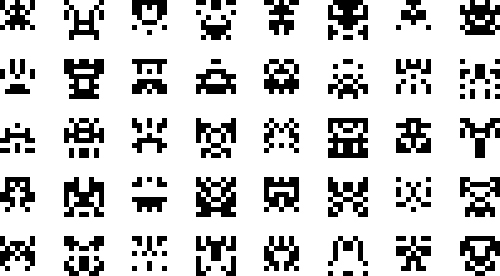 Experiment on generative art blog Dear Computer, that creates a way to generate/imitate Space Invaders characters. Clicking on the invaders changes them randomly. The idea has been expanded (something about porting the experiment to the GD libraries in PHP) so visitors were able to discover bugs. Just wonder what do you do with all these pixel invaders?